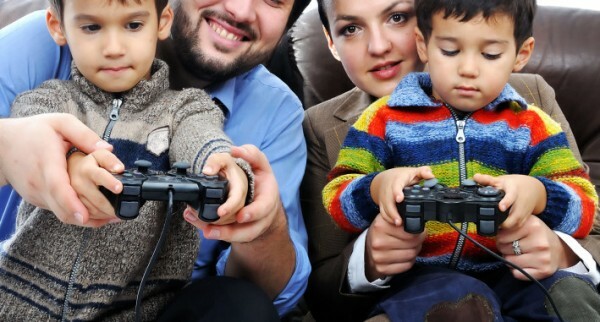 How Parents Should Manage Video Games In The Family? HomeOtherHow Parents Should Manage Video Games In The Family? Video games are often seen as the scapegoat of society. It is blamed for heinous crimes and disturbances in children. Heavy metal music was also blamed for the same thing in 1980’s. Parents and teachers often look for external sources for problems. They easily blame things that seem or look so evil. Many parents cringe when seeing their children shoot people with virtual machine gun or hit people with stolen cars in Grand Theft Auto series. In reality, many children don’t get the kind of guidance and attention they need. Parents should have firm hand and they need to give children a sense of right and wrong. This concept should be simple enough for many people to grasp, but it is feared that video games will disrupt this process in young teenagers and children. Often, it is not just the parents fault. Society is also often as much to blame. Lack of control in the video games industry could cause children to be fed with violence and other negative values. Children may logically know the real difference between right and wrong, but it can be confusing, if they continue to play as bad guys in video games. Obviously, children shouldn’t be locked up for the whole of the lives. In most cases, the situation won’t be bad enough that children need counselling or stints in mental hospital. There are actually many popular games that provide good values with showing any kind of violent details. In this case parents should step up to immediately accept responsibility for their children. Young teenagers shouldn’t grow into people who reject the society. Parents should become a strong, positive influence for their children. Parents shouldn’t just be there near their children to feed them and let them roam like wild animals. It is important to assign positive values for children. In this case, children won’t become the rejects of the society and it would be possible for children to provide strong influence in the child’s life. If Billy shouldn’t play a game today, parents should explain why it can’t be done. As an example, the game can be related to violent crimes. Children are the product of the media and environment. Although it is probably true that many teenagers who play Grand Theft Auto series won’t become thugs and car robbers; we won’t know how many of the actual crime cases are caused by this series. In many case, the environmental is lacking, so it is the responsibility of parents to make their children to become more accountable. There are actually games that can boost children’s performance in the society. RTS or real time strategy games are known to educate children about management, organization, attention to details and decision-making. Role playing games offer children the ability to make moral choices, manage personal details and do other things. Fighting and FPS games are often associated with violence, but children are able to enhance their reflexes and hand-eye coordination.